Crossrail sites sign-up to Open House London weekend 2012 - Crossrail . For information about the Elizabeth line please visit the Transport for London website. On Saturday, 22 and Sunday, 23 September, we will ‘open the doors’ of the Bond Street station work sites, the Canary Wharf station work site and the Tunnelling and Underground Construction Academy (TUCA) to the public as part of the Open House London weekend. We are pleased to be part of this exciting event that showcases London’s unique architecture and allows the wider community to visit buildings and spaces that are not generally open to the public. 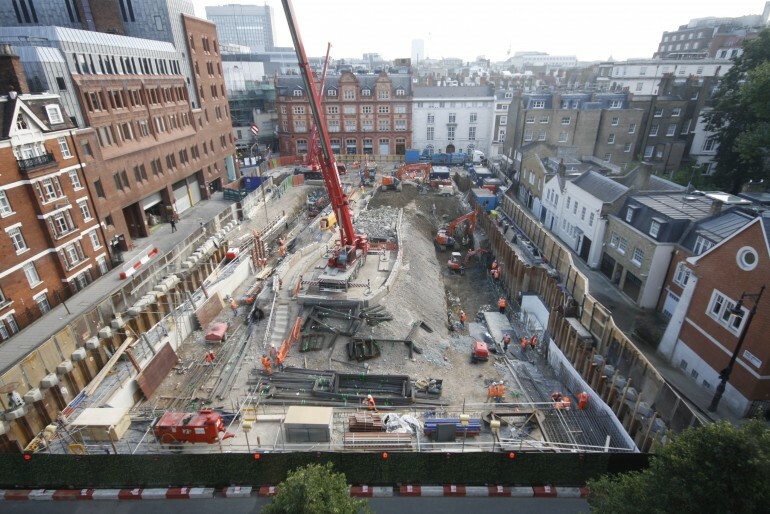 Those who visit the Bond Street station site will have the opportunity to view the western ticket hall from a ‘bird’s eye view’ inside the site office and be guided to the eastern ticket hall to view the construction from a PPE-free area. Visitors will learn about Crossrail during a short presentation and have the opportunity to ask questions to our experts. Tours will run on the hour, every hour from 10am to 4pm on a first come, first served basis. Visitors will be engineer-led around the perimeters of the Canary Wharf station construction site where they will see information boards with architects impressions of what the completed station will look like. Tours will only run on Saturday, 22 September and bookings must be made via the Open House London website. Opening the doors to TUCA will help us to explain the skill legacy that the construction of Crossrail is creating. Visitors can learn how the striking contemporary design of TUCA overcame site constraints, how we realised cost savings during construction and achieved an “Excellent” sustainability rating. Tours of TUCA will run hourly from 10:30am until 3:30pm on both days, no bookings are required.